Blowout Sale! 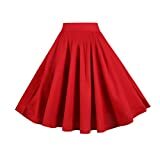 Up to 71% off on Skirts at Mas Fashion. 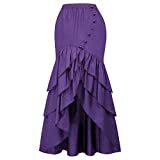 Top brands include Calvin & Sally, PUMA, BI.TENCON, DRESSTELLS, WHMAXIM, Diukia, Bangkokpants, Noble U, Belle Poque, Kate Kasin, Joeoy, Red Hanger, Dickies Girl, FLORIA, WDIRA, Jubilee Couture, Doublju, Jessica London, & Urban CoCo. Hurry! Limited time offers. Offers valid only while supplies last.